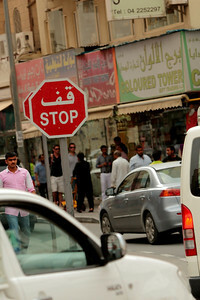 Quick and inexpensive way to cross Dubai Creek, linking Deira and Bur Dubai. Life vests not required. 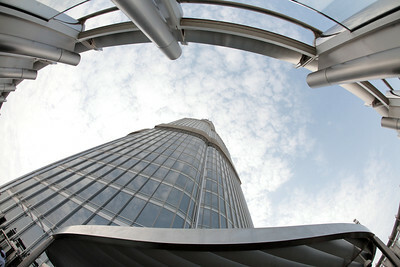 View of the upper floors of the Burj Khalifa, looking up from the observation deck on the 124th floor. 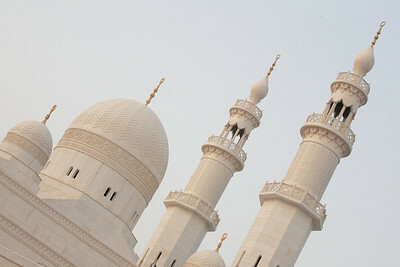 The tallest building and tallest free-standing structure in the world, the Burj Khalifa offers impressive views of the surrounding landscape, which is dominated by mammoth-sized construction projects. 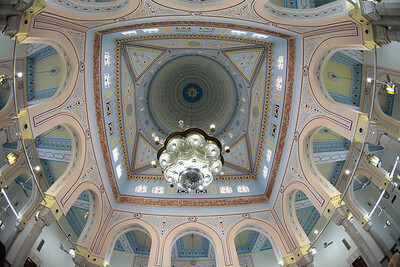 Don't go up unless the visibility is reasonable, otherwise the view is not worth the expense. 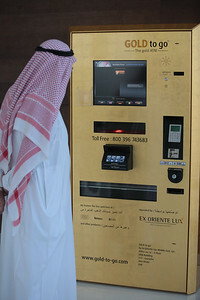 The elevators at the Burj Khalifa are astonishingly quick, moving as fast as 10 m per second, but they are engineered so well that their movement is almost imperceptible. 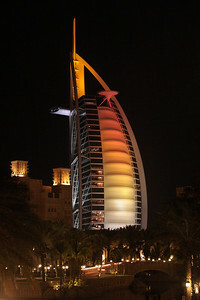 The upper floors of the Burj Al Arab hotel. 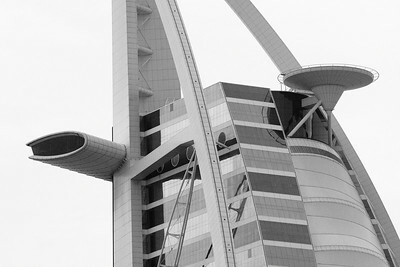 The cantilevered structure is a restaurant, while a helipad is visible on the right side. 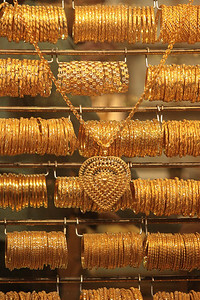 A storefront in the Gold Souk. 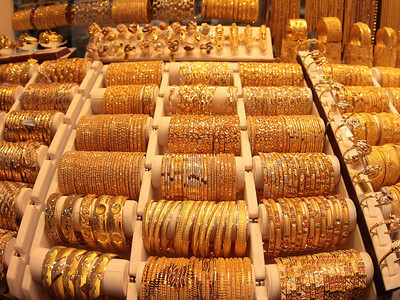 Most of the gold is 22-24K. Each piece is weighed and then sold by the gram, subject to price negotiation. 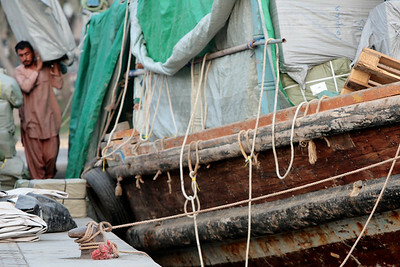 A saavy buyer will take the initial price and bargain up from 50-60%. 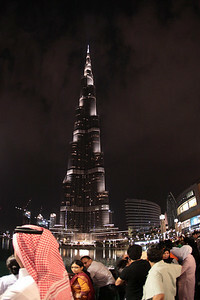 At 2716.5 ft. high, the Burj Khalifa is currently the tallest building in the world. 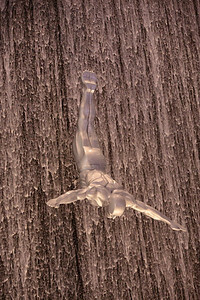 Tourists and locals gather around the Dubai Mall area in front of the Burj Khalifa in anticipation of the Belaggio-style water fountain spectacle that occurs approximately every half hour beginning at 6pm. For some of the best seats in the house, get to the Madeleine restaurant early, and request balcony seating. 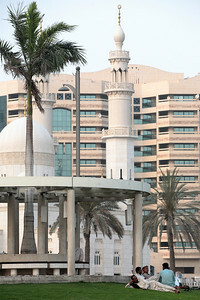 This relatively new mosque is located across from the Dhow Wharfage, near the Emirates National Bank. 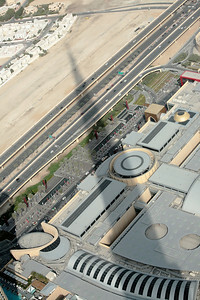 The view from the observation deck of the Burj Khalifa is dominated by the shadow of the building. 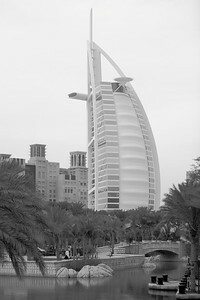 The building in the foreground is the sprawling Dubai Mall. 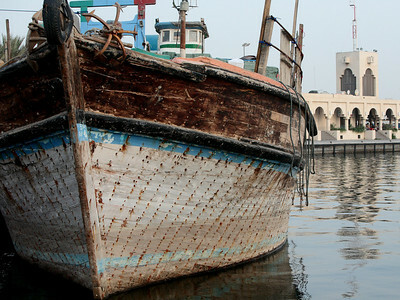 Water taxi (abra) on Dubai Creek, facing Bur Dubai. 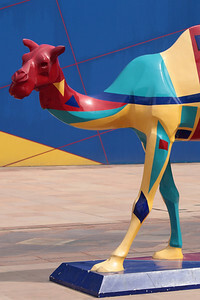 A camel sculpture in Dubai Creek Park. 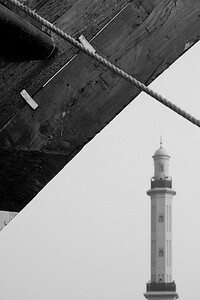 The minaret of the Grand Mosque, framed by a moored dhow boat. 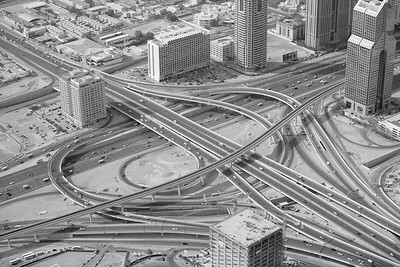 A view from the observation deck of the Burj Khalifa. Massive construction projects abound. 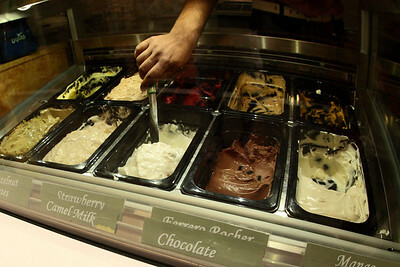 Camel Milk gelato? Actually not that exotic...tastes like vanilla.